Botox™ NYC provides men and women with the ability to return to a more youthful version of themselves. With painless injections and just a few minutes of time, the effects of time and stress can be smoothed away. Neither medication to numb the treatment area, nor time for recovery is necessary. However, for patients who are new to Botox™ and apprehensive about how the injections will feel, there is the option to apply a topical anesthetic or a cold pack to reduce sensations in skin. Are you worried about the worry lines on your forehead? Wrinkled foreheads can make people look old, tired, worried, angry, quizzical, sad, stern. A quick visit to the premier Manhattan aesthetic center of Dr. Ron Shelton to receive Botox™ injections may be all that you need to refresh the skin on your face. Botox™ NYC treatment consists of several painless injections in the shallow muscle tissue between or above the brows or around the eyes. Often a numbing cream is applied and after several minutes the cream is wiped off and the Botox™ treatment session lasts only about a few minutes and lets you resume your day feeling refreshed and ready for a rejuvenated appearance in a matter of days. Some of the lines and wrinkles that occur on the face, particularly those that form around the eyes, glabellar lines and on the forehead, are the result of persistent contractions in the muscles on the upper part of the face. We use these muscles so frequently when we frown, laugh, cry, and squint to read small print that they eventually remain tightened even when we are at rest. By relaxing the contractions in these muscles, Botox™ results in beautifully reducing the signs of aging that make us appear tired, angry, and old. A benefit of Botox NYC Cosmetic used to reduce frown lines is a secondary lift of the forehead which helps pull up the eyebrows and the upper eyelids which often lower creating "hooding" with age. This is referred to as a Botox™ Brow Lift. There are some off label uses of Botox™ including reducing the thickness of the chewing muscles which make lower faces rounder and less feminine, especially in those that grind or clench their teeth. Botox™ has been used to create tighter jaw lines, lift up the sagging corners of the mouth, tighten loose sagging neck bands, reduce the "gummy" smile ( the gum above the central upper incisor teeth shows when someone smiles widely), and reduce the droop of the nasal tip in those that have an open mouth nasal tip pulling reflex. Botox™ results can all be viewed in Dr.Ron Shelton's patient's Botox™ before and after gallery. In consultation with Board Certified Dermatologist Ron Shelton, you can discover the cause of Crow's feet, furrowed brows, and more, and have it treated with no delay. Your comfortable treatment session that lasts only a short time can produce amazing results that could keep you looking unhurried and serene for up to four months. Botox™ cost and results will vary per patient. ​Botox™ is the brand name of botulinum toxin and is often interchangeable with other brands including Dysport®, Xeomin® and others. Browse through our website and check the 'treatment visualizer' that will give you a sneak preview in the 'Before and After Gallery' and get excited about the treat in store for you. We invite you to explore before calling (212) 593-1818 to schedule your consultation for treatment. NYC Botox™ - What is Botox™? Best Botox™ in NYC - What is Botox™ used for? Botox™ in New York City - Who is a good candidate for Botox™? New York City Botox™ - Are there any risks associated with Botox™? Injection Botox™ New York - I was born with one eyebrow higher than the other. Can this be fixed with Botox? Botox™ Injection Techniques New York - What Botox™ injection techniques work best for reducing lines and wrinkles? Botox™ for Wrinkles NYC - Can NYC patients use Botox for wrinkles? Botox™ Injection NYC - What is Botox™ for NYC patients made from? Botox™ Injections in New York - Which patients in New York are the best individuals for Botox™ injections? Botox™ Side Effects New York - Can those pregnant have Botox injected? Botox™ Treatment New York - I have a bruise from Botox injection in the forehead. It's been one week. Will the color be permanent? Botox Treatment NYC - Are all doctors using the same Botox, or could some be using a different manufacturer explaining why my results have been different when I see different doctors? NYC Best Botox - I went to a practice in which the nurse injected my lower eyelid and now I have a very big bruise. What should be done? Botox Numbness New York - I love the results I get with Botox but I wish I didn't need to have it redone every four months. Is there anything else permanent for my frown lines? Botox Headaches NYC - I had Botox done two weeks ago by my doctor, the same doctor who has treated me for about ten years and this time there was not the same improvement. My crow's feet aren't improved enough. What should I do? 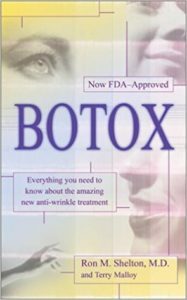 Botox Downtime NYC - I saw a person at a party who showed me they were unhappy with Botox they had. Their smile goes up on one side and not the other. Why did this happen? Botox Downtime New York - I am a very anxious person. Do I have to avoid having Botox injected for my wrinkles? 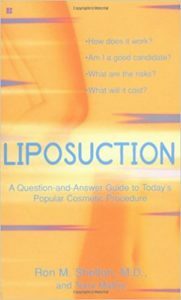 Botox Party New York - Can there be complications from Botox such as nerve injury? I read something about this on line and it makes me nervous to have Botox. Botox Pain NYC - I take coumadin because of a blood clot I had in my leg a year ago. I hate my frown lines. Can I have Botox injected? Botox Treatments NYC - My nostrils flare out when I smile and I asked my doctor to inject Botox to relax them but he said it could make my smile different. Why is that? Botox Injections in NYC - I have an important social function in two days. Should I have my first Botox treatment tomorrow? I want to look good for the function. Botox Jaw Reduction NYC - I thought Botox was used only for cosmetic purposes but I heard that a friend's child has Botox for some muscular dystrophy condition. How can that be? Fillers for Face Botox New York - Can Botox not work? NY Botox Injection - Does Botox™ take away acne scars? Cellulite Treatment New York - I have an appointment to see my NYC dermatologist for botox tomorrow and realized I have an appointment for a facial one hour later, should I cancel the facial? Botox injection in NY - Can you fly after Botox™ injections? Botox injection in NYC - Are New York Botox™ or any Botox™ parties safe? Botox in New York - Can I have Botox injected in the same area as Juvederm™ or Restylane™? Botox Treatments in New York - Should I expect longer than one month's duration from Botox? Cost of Botox Fillers NYC - Can one use Botox with different concentrations? Botox Dermal Filler NYC - I have to run a few miles in training this weekend and I want to have Botox the Wednesday before, is that allowed? Injectable Filler Botox NYC - I never had Dysport but I regularly get Botox. Should I try Dysport, am I missing something? Dermal Fillers Cost Botox NY - I just had Botox for my crow's feet. How soon can I have Fraxel laser done? NYC Injectable Fillers Botox - Should I be worried about my botox not working this well in four years from now? Dysport or Botox NY - Can I wear a tight pony tail after having Botox injections or Dysport? Dysport or Botox NYC - I went to a doctor for Botox but he only uses Dysport. I never heard of it. 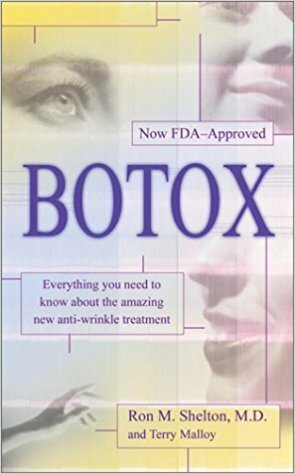 Is it just as good as Botox?